DANCEHALL HERO : Legendary reggae singer Barrington Levy performs at Downtown Brew on Jan. 24. Put down that fatty and head down to Boo Boo’s or go online at ticketweb.com and pick up your tickets for two killer reggae shows this week. First up is Barrington Levy, sometimes called the Mellow Canary due to his clear-as-a-bell vocal style, which was cultivated over a stunning three-decade-long career. Levy cites Dennis Brown as his biggest influence, but he also mentions Michael Jackson, the original Jackson 5, and other American R&B artists as important inspirations. His real career began in 1979 when producer Henry “Junjo” Lawes discovered him singing on a local sound-system and quickly took him to the legendary Channel One for the first of many hit singles. The early singles—“Shine Eye Gal” and “Moonlight Lover” for example—were later collected on his debut album Bounty Hunter, released on the Jah Life label in the U.S..
By the ’80s, Levy’s career exploded, with tracks like “Sister Carol,” “Look Youthman,” “Eventide Fire A Disaster,” and “Mary Long Tongue.” Again Junjo was the producer, and Levy’s third album Robin Hood cemented his rocketing reputation as one of the best dancehall singers. By 1983, he was a household name in Great Britain with songs like “Under Mi Sensi,” which topped the U.K. charts for 12 weeks. “Murderer” and “Here I Come” continued his chart topping ways, and in 1985 he made his first U.K. TV appearance, where he sang the pro-ganja anthem “Under Mi Sensi” on Number 73—a children’s show! 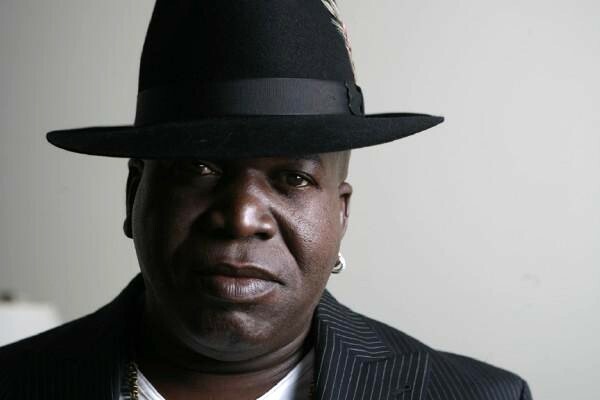 See Barrington Levy on Saturday, Jan. 24, for an 18-and-older, 7:30 p.m. show. Advanced tickets are $20. 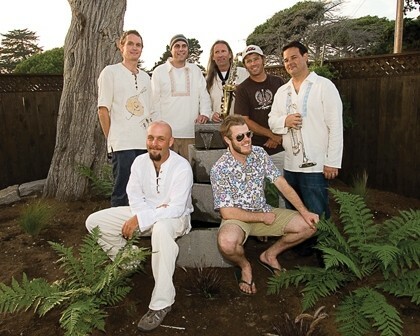 SOUTHERN REGGAE : Georgia-based dub reggae act Passafire plays Downtown Brew on Jan. 27 for an all-ages show. On Tuesday, Jan. 27, more reggae is coming your way when Passafire, who’s been crisscrossing the country with Pepper, takes a day off and headlines DTB for an all-ages, 7:30 p.m. show ($6 advance or $7 at the door). Swamp blues star and Blind Pig recording artist Kenny Neal returns to town with SLO Blues Society show at the SLO Vets Hall this Saturday, Jan. 24 ($20 at the door), touring in support of his most recent CD Let Life Flow. AWARD WINNER! : Swamp blues artist Kenny Neal—who recently won the 2008 Jus Blues Junior Wells Harp Award—plays Jan. 24 at the SLO Vets Hall for the next SLO Blues Society concert. Born in New Orleans and raised in Baton Rouge, Neal learned blues basics from his father, singer and harmonica player Raful Neal. The younger Neal cut his teeth as a member of Buddy Guy’s band, eventually establishing himself as a hot up-and-comer on the modern blues scene. Although some health problems have recently slowed the bluesman, Let Life Flow marks his return to the funky sounds of his native Louisiana. 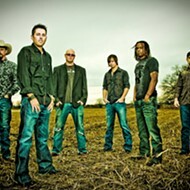 Local blues act The Cinders will open the 8 p.m. show. Layne began playing covers as a girl, specializing in hits from the ’50s, ’60s, and ’70s, but these days she mixes her own originals into her sets, and with six albums under her hand-tooled western belt, she’s got plenty to choose from. Check her out on Saturday, Jan. 24 at Last Stage West. Call 461-1393 for reservations. DOO WOP CLASSICS! 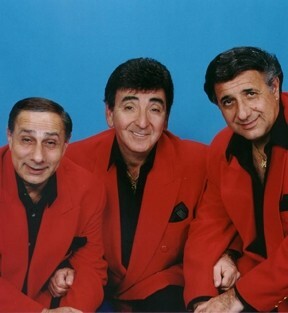 : Danny and the Juniors is just a one of the rock’n’roll superstars to perform their original hits at “The Best of Doo Wop,” on Jan. 25 at the PAC. DOO WOP CLASSICS! 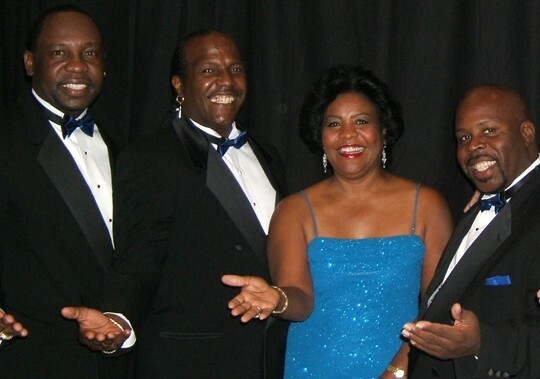 : The Buck Ram Platters are to perform their original hits at “The Best of Doo Wop,” on Jan. 25 at the PAC. Bust out those poodle skirts and bobby socks for “The Best of Doo Wop,” an evening of rock’n’roll Hall-of-Famers perform their million-selling hits of the ’50s and ’60s live on stage at the Performing Arts Center. You’ll hear Danny & the Juniors (“At the Hop,” “Rock and Roll is Here to Stay”), The Buck Ram Platters (“Only You,” “Great Pretender”), The Olympics (“Good Lovin’,” “Western Movies”), The Four Preps (“26 Miles/Catalina,” “Gidget”), and even Atascadero native Brenda Holloway (“You Made Me So Very Happy,” “When I’m Gone,” Every Little Bit Hurts”). The vocal performers are backed by the versatile American Gold Band led by Bill Cormier, and the evening features comic host Scott Wood. The night ends with a special tribute to The Drifters. Motown chanteuse Brenda Holloway is an accomplished songwriter and classically-trained violinist, and she may have been Motown’s first L.A.-based artist. Now a nationwide touring star, she plays to packed houses across the country. Check it out on Sunday, Jan. 25, at 7 p.m. Student and adult tickets range from $30 to $44. Get ’em at the PAC Ticket Office or by calling 756-2787. Folk duo Brick Fields—married couple Rachel and Larry Brick—had such a great time on the Central Coast this past summer that they decided to come back for a few shows. Check them out on Thursday, Jan. 22 at Peet’s Coffee in SLO (5 p.m.); Friday, Jan. 23 at The Clubhouse in SLO (6 p.m.), and Saturday, Jan. 24 at The Cliffs in Shell Beach (6 to 9 p.m.). PHAT SOUNDS : Zongo All-Stars will deliver an evening of their signature CaliCubano—a hot, high-energy mix of Afro-Latin, Afro-Caribbean, jazz, calypso, reggae, and funk—on Jan. 23 at Downtown Brew. Phat, horn-driven juggernauts the Zongo All-Stars will deliver an evening of their signature CaliCubano—a hot, high-energy mix of Afro-Latin, Afro-Caribbean, jazz, calypso, reggae, and funk—on Friday, Jan. 23 at Downtown Brew (21-and-older, 7:30 p.m., $5 advance or $7 at the door). Otherworldly-beat (like world beat but more “other”) act Calinambe will open the show. 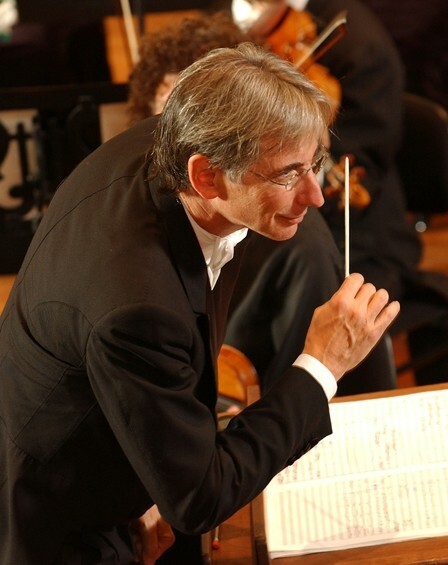 A ONE, AND A TWO : The San Francisco Symphony, under the baton of Conductor Michael Tilson Thomas (pictured), performs Jan. 23 in the Cohan Center. Since its first concert back in 1911, The San Francisco Symphony has become one of the most acclaimed ensembles in the United States and abroad. On Friday, Jan. 23, at 8 p.m. in the Cohan Center, they’ll deliver an evening featuring highlights from Copland’s sweeping score from the classic film, Our Town, Berg’s Three Pieces for Orchestra, Op. 6, and Tchaikovsky’s Symphony No. 5 in E minor, Op. 64. A pre-concert lecture by Cal Poly Music Professor David Arrivée will be held in the Philips Recital Hall at 7 p.m. Student and adult tickets range from $44 to $68, available at the PAC Ticket Office or by phone at 756-2787. Cal Poly’s Early Music Ensemble presents works of the California missions at 8 p.m. Saturday, Jan. 24, in the Pavilion of the Performing Arts Center’s Christopher Cohan Center. The concert, titled “Masters of the Mission,” will feature works that were reconstructed from the original sources in the missions by Cal Poly Music Professor and noted California mission music scholar Craig Russell. The Ensemble will be joined by a small instrumental group, including Russell on baroque guitar. Cal Poly Music Professor Thomas Davies will conduct the performance. Tickets are $12 ($8 for seniors and students), available at the PAC Ticket Office or by calling 756-2787. Cal Poly grad (she has a master’s degree in English!) Angela Leo returns to her old stomping grounds with an evening of original music at Linnaea’s Cafe on Saturday, Jan. 24 at 8 p.m. Expect literary songs of grace and beauty. ROCK STARS : Reno-based alternative rock/pop act Days No Different hits the Frog and Peach on Jan. 24 to promote their award-winning CD Surrender the Mystery. 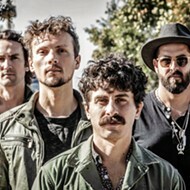 Reno-based alternative rock/pop act Days No Different hits the Frog and Peach this Saturday, Jan. 24 to promote their newest CD Surrender the Mystery. 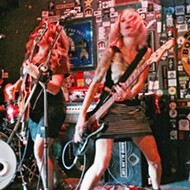 The group’s CD was voted Best Local Album in the Reno News and Review. HAPPY 250TH! 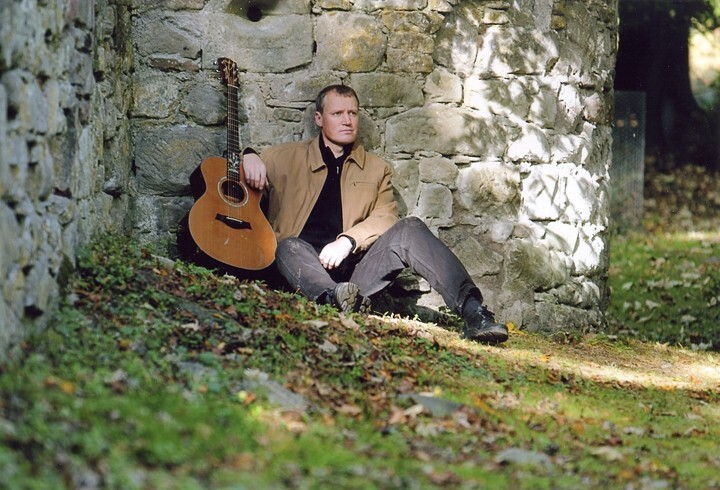 : To celebrate the 250th birthday of famed Scottish bard Robert Burn, Scottish singer-songwriter Jim Malcolm will play Jan. 25 in The Steynberg Gallery. Scottish singer-songwriter Jim Malcolm returns to town for a special concert celebrating the 250th birthday of famed Scottish poet and lyricist Robert Burns. 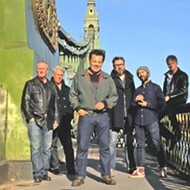 This Hoot Road Show concert is scheduled for Sunday, Jan. 25 at 7:30 p.m. in the Steynberg Gallery. Pick up your $15 ticket at the venue. Call 546-2857 for more info. The City of Paso Robles Department of Library and Recreation Services and the REC Foundation are currently accepting band demos for the 2009 Concerts in the Park series through Friday, Feb. 6. All bands should submit information including a demo CD, band biography, and a photo. Band packets can be dropped off or mailed to Nancy Joynt, City of Paso Robles, Centennial Park, 600 Nickerson Drive, Paso Robles, 93446. Concerts will be held Fridays, 5:30 to 7:30 p.m., June 19 through August 28 at the downtown City Park gazebo. For more information please call Nancy at 237-4741. Glen Starkey knew when to say when, but kept going anyway. Intervene at gstarkey@newtimesslo.com. Los Angeles-based producer Madlib (Otis Jackson Jr.) seems perfectly attuned to our culture of curiosity. He has a DJ’s ear that craves constant refreshment, meaning he’ll kneel down to thumb through record bins of any nationality. Having recently delivered an instrumental album composed of ‘70s and ‘80s Indian Bollywood samples, he then jumped hemispheres and recorded an album with percussionist Ivan “Mamão” Conti, the percussionist from the 1970s Brazilian trio Azymuth. With the sound of São Paulo still thumping in his veins, Madlib has assembled a mixtape that touches all of Brazil’s musical bases. Filled with an array of Brazilian sounds—the languid infectiousness of samba and bossa nova, the rhythm explosion of Carnival and the seductive croon of modern Brazilian pop (MPB)—it’s constructed expertly as one hour-long cut. With rapid clattering snares merging into breezy orchestrated sambas, Madlib has mixed this with an ear for fluidity, thus many tracks are more brief interludes than complete songs. He assembled this from dusty, scratchy albums, which you can instantly hear. But his selections overcompensate the minor sound imperfections, and better his record needle than yours. A compiler of the obscure, Mississippi records has slowly become a record collector’s sweet dream. 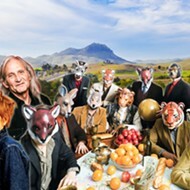 With a curator sensibility, they’ve issued out a handful of vinyl records that touch on everything from pre-war blues and New Orleans soul to orchestrated Thai folk music. It may sound marginal, until the needle connects with the groove, and it sounds magically heartfelt and uniquely authentic. 2009 opens with perhaps their best compilation yet. Oh Graveyard, You Can’t Hold Me Always gathers some of the deepest and most soulful guitar-based southern gospel of the ‘60s and ‘70s. Joe Townsend’s “Going Over The Hill” teases the crowd to lively jubilation with a playful back and forth between him and his guitar accompanist. The White Family delivers a sensational choir call and response on “Help Me Jesus,” while Laura Rivers’ a cappella rendition of “That’s Alright” sounds so spontaneous, you may think you’ve walked in on her dinner preparations. There are fourteen tracks of pure beauty on this vinyl-only release.